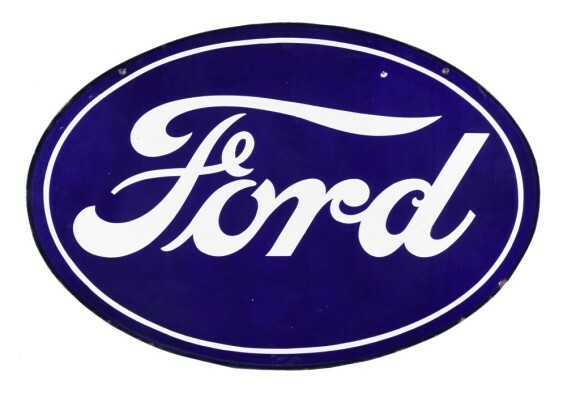 The navy blue Ford oval sign is typically hard to find in good condition. The sign measures 23″ tall and 33″ wide. The background is a navy blue with bright white text.